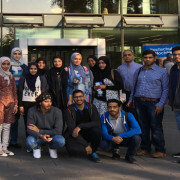 MUSCAT A group of Omani and international students of the German University of Technology in Oman (GUtech) travelled to GUtech’s partner-university, RWTH Aachen University in Germany last week. The annual study-trip has been conducted since 2009, its main aim is to introduce the students to life in Germany so that they experience the classroom situation at RWTH Aachen University. For most of the students it is the first trip to Germany. The German Academic Exchange Service (DAAD) has awarded the students with study-scholarships. DAAD is one of the world’s largest and most respected intermediary organizations in the field of academic exchange. 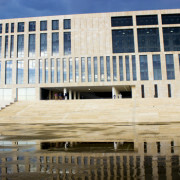 Every year the organization sponsors a large number of foreign and German academics worldwide. The GUtech students of different study-programmes had to apply with a letter of motivation that was followed by an interview. 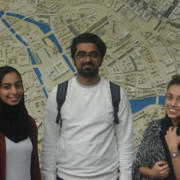 The group students and two GUtech staff members study German at RWTH Aachen’s Language Centre in the mornings and in the afternoons they attend a university and cultural programme that includes sightseeing around Aachen and its countryside, to the Netherlands, to Belgium and other German cities like Cologne as well as an Omani evening for students and RWTH Aachen professors along with GUtech alumni and GUtech fly-in professors. RWTH Aachen University is located in the centre of the city of Aachen. Currently more than 42,000 students are studying at RWTH Aachen University, which is one of the leading Universities of Technology in Europe. RWTH Aachen is a member of the prestigious IDEA league, a network of leading Universities of Technology in Europe. The Rector of RWTH Aachen University, Prof. Dr. Ernst Schmachtenberg is Head of the Board of Governors at GUtech. GUtech offers German classes for BSc or BEng students. The university promotes study and research exchange with RWTH Aachen University and other universities in Europe. BERLIN/Germany. To develop their architectural and urban planning skills, a group of enthusiastic students and their professor from the German University of Technology in Oman (GUtech) participated recently in the International Architecture Summer Academy – ars 16 Berlin. Architecture students from New York City College (USA), Iowa State University (USA) and Beuth University of Applied Sciences and Technology in Berlin (Germany) participated in the one month summer academy that was held for the 16th time. The German capital Berlin has been developing as a hub for international real estate investment in the past decade. 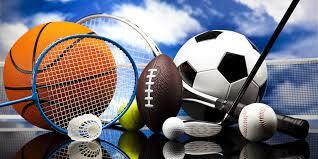 The Summer Academy developed strategies to meet some short term and long term goals. “During different workshops special software for energy efficient designs were introduced and practiced. Moreover the students participated in field-trips to energy efficient buildings in Berlin, Hamburg and Dessau. This gave the students an insight about how these strategies could be implemented in projects that were already built. Further visits to architectural offices in Berlin gave the students an opportunity to understand what life of a professional architect could be,” said Prof. Alexander Kader, Head of the Department of Urban Planning and Architectural Design (UPAD) at GUtech. Various experts and professors also presented lectures, thus building up the knowledge of the students further. The students results were finally exhibited to the public at an art gallery in the center of Berlin. The team of five GUtech students, one GUtech alumni and intern and their professor worked intensively on the design proposals for developing energy efficient buildings while filling a gap between buildings at two different sites in the city of Berlin. “Protecting the interior against the heat from the sun yet bringing in light to living spaces were major aims of our design proposals. One group worked with creating various angles with their roof to direct the sunlight to required spaces. Another group worked with creating an atrium in the centre of the building and installing a mirror system which would then reflect the light into various spaces of the building. Designing creative circulation spaces were also the aim of one of the student groups where they placed the circulation at the periphery of the entire structure therefore being able to create spaces between their building and the neighbour’s. These spaces further acted smartly like light vents to bring in light to usable rooms in the building” said Shaharin Annisa, GUtech alumni and intern at the UPAD department. Apart from workshops, presentations and field-trips related to architecture, the students also learnt more about the history of Germany. “We got the chance to visit the Berlin Wall, a Concentration Camp Memorial Site, a police academy and various districts in Berlin. Moreover, we attended German classes two to three times per week at the university,” said Shaharin Annisa. In future, the UPAD department at GUtech might conduct a similar international workshop in Muscat.